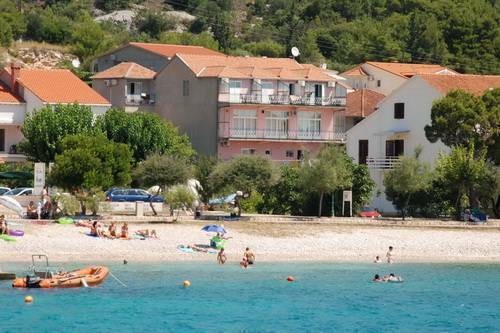 Begin your love affair with Croatia this summer in Orebic. Wheter you visit for the sun, the sailing, the jaw-droping scenery, world class wines or culinary delights; the Dalmatian coast is quite simply one of Europe's most stunning escapes. Long stretches of glorious shoreline are framed between striking limestone mountains and the azure waters of the Adriatic, where hundreds of islands, inhabited and uninhabited, await exploration. At the Lulak Family Apartments, we bring you the same wonderful experience we grew up on. 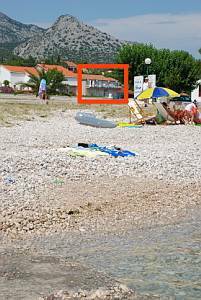 The Lulak Family is offering accommodation in beautiful apartments in the most attractive part of Orebic, within the walking distance to the beach. All apartments are well equipped, including bathroom, kitchen, Sat-TV, free wireless internet access, air-condition and balcony. 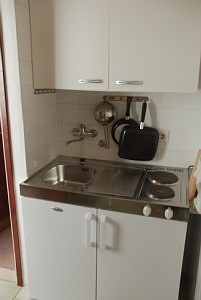 Most of the apartments have magnificent view of the Adriatic Sea and surrounding islands. All apartments are well equipped, including bathroom, kitchen, Sat-TV, free wireless internet access, air-condition and balcony. 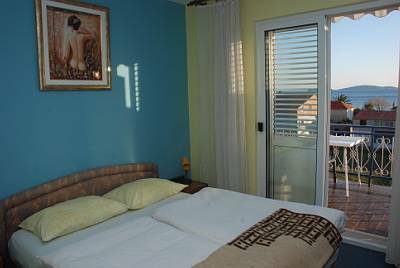 Most of the apartments have magnificent view of the Adriatic Sea and surrounding islands. Orebic is the picturesque sunny town situated at the south-western part of the Peljesac peninsula, at the bottom of the St. Elias hill (Sv. Ilija 961m). Long beaches and numerous small bays with crystal clear sea-water are surrounded with untouched nature with hundred years old pines and cypress trees, agaves and flowers. Because of the average air temperature of 9. 1ºC in January to 26. 5ºC in July, Orebic makes trips to nature desirable during whole year. An important part of rich Orebic historical heritage is Franciscan monastery and the Church Our Lady of Angels from 15th century. Situated at the 150m above the sea level, this cultural and historical monument offers extraordinary architectural beauty, art collection exhibition and unforgettable stunning view on Orebic, Korcula and surrounding islands of the Adriatic Sea. Take a trip through the city's maritime history in the newest exhibition at the Mariritime museum (Pomorski muzej). Explore the old captain's houses as Orebic was town of rich maritime history and therefore often regarded as "Town of Captains", On every corner you will feel reminders of once prominent maritime history. The natural, beautiful Croatian Adriatic is the ideal setting for a number of outdoor activities. Whether on land or on sea, this is the place to soak up the sun. •	If cancelled up to 30 days before date of arrival, no fee will be charged. •	If cancelled up to 7 days before date of arrival, 10% of the total reservation will be charged (1 night minimum). •	If cancelled up to 3 days before date of arrival, 30% of the total reservation will be charged (2 nights minimum). •	If cancelled later or in case of no-show, the total price of the reservation will be charged. Located in the city of Orebic (Peljesac peninsula) in the very south part of Croatia, halfway between Dubrovnik and Split. Nearest airport in Dubrovnik, 120 km by bus. Bus connection to our major cities in Croatia. Boat connection to Split or Dubrovnik.